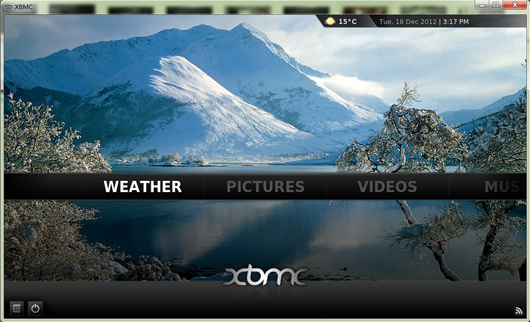 XBMC is a free and open source media player application developed by the XBMC Foundation. It allows users to play and view most videos, music, podcasts, and other digital media files from local and network storage media and the internet. 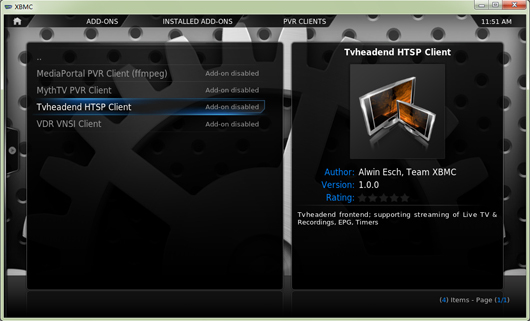 Now it is officially available as a native application for Linux, Mac OS X, iOS, and Microsoft Windows operating systems. 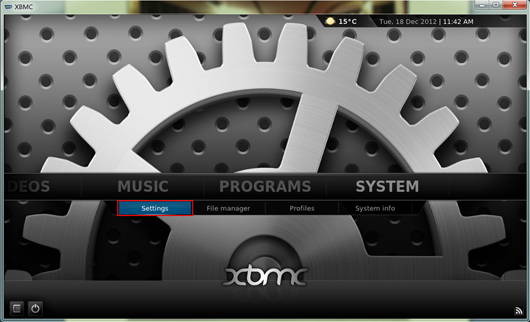 Click to launch XBMC, as it is shown below. 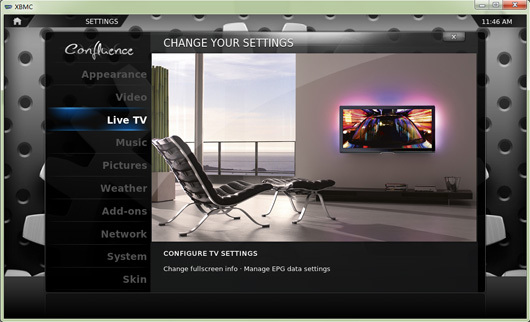 You’ll find there is no “LIVE TV” option on the main menu by default. 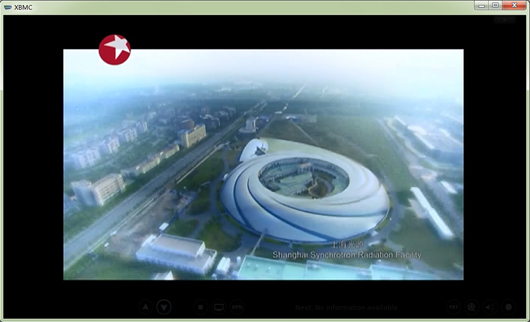 So the first thing to do is to connect XBMC with TVheadend HTSP Client and display “LIVE TV” on the main menu. A new window will appear, click” General -> Enabled” to continue. 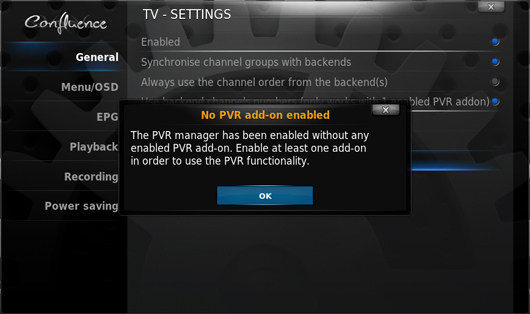 You will see the following dialog box showing that “No PVR add-on enabled”, click “OK” to continue. 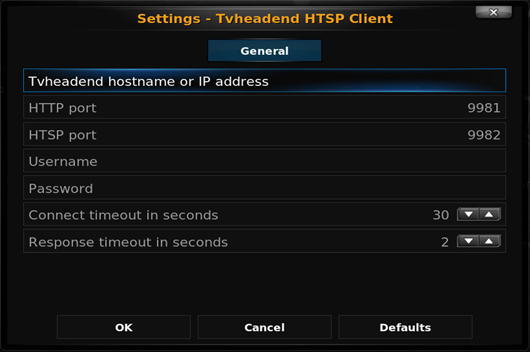 Follow the instruction, you will see picture below, select “TVheadend HTSP Client” to continue. 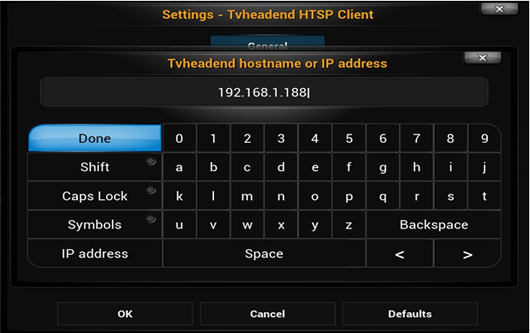 The IP address of the MOI streaming box 192.168.1.188 should be entered, then click “Done” to finish this step. 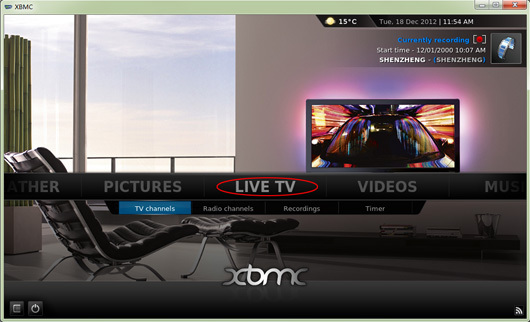 Restart XBMC, now you can find “Live TV” option on the main menu. 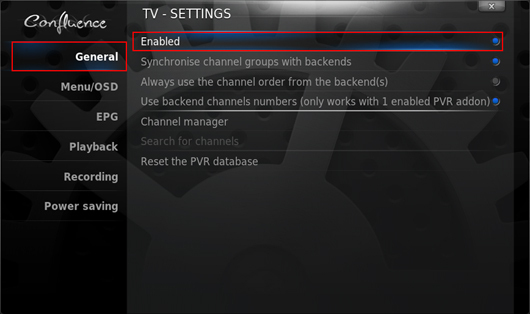 This indicates XBMC has connected with TVheadend and can receive satellite TV channels from MOI TV Streaming Box. 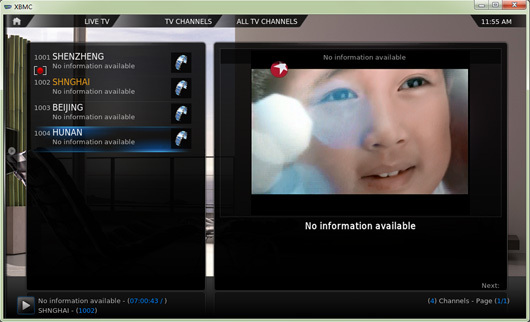 A list of TV channels will present on the left , when you hover over a TV channel, a preview of the video will begin playing, and you can choose your favorite TV channels to preview. Double click to switch to full screen.